An abbreviation for 'Left channel'. See Stereo. Compare R.
In sound level measurement, the level that is exceeded for <number> percent of the time, over the period of the measurement, usually expressed in dB SPL. For example, the L10 figure is the level that is exceeded for 10% of the time during the measurement interval. See also Sound level meter. Compare Leq. In equipment circuit diagrams (schematics), the component references for inductors usually take the form 'L followed by a number', e.g. 'L6'. Such component references are sometimes also marked on equipment circuit boards (PCBs). In sound level measurement, the continuous level that is equivalent to the average of the actual levels over a stated period of measurement, expressed as a value in dB SPL. The measurement is usually A-weighted, in which case the correct term is LAeq, though 'Leq = x dB(A)' is acceptable. A measurement period of the order of 1 to 3 minutes might typically be considered appropriate for PA applications. This method of measurement is more properly called LAT, and is defined by standard IEC 61672-1. Leq measurements are also often used to quantify sound exposure dosage for health and safety purposes, in which they specify the continuous level that is equivalent to the total sound energy exposure over the relevant time interval. For example, European regulations require the exposure for employees to be limited to an Leq SPL value of 85 dB (A) over an 8 hour period (per 24 hours), after the effects of any hearing protection measures are taken into account. For an Leq level of 88 dB (A) the maximum exposure period would be 4 hours and for 100 dB (A) it would be 15 minutes, as these exposures would give the same total sound energy dosage as 85 dB (A) for 8 hours. See also Sound level meter. Compare L<number> (1) and Time-weighted average. The Greek letter λ which is used as a symbol for wavelength within formulae (equations). Therefore, this term is occasionally used in place of the term 'wavelength'. For audio-related formulae involving lambda, see this entry on the FAQ page. The component, within a luminaire (such as a a stage lantern), that converts electrical energy into light. Frequently called a 'bulb' by non-technical personnel (a term deprecated by lighting engineers). The term does not refer to the complete luminaire. Lamps are of many different types, including incandescent filament, fluorescent, discharge and LED. A slang term for a lighting engineer. See also LD, Soundie, Sparks and LX. An abbreviation for 'local area network', an arrangement of data routing equipment, cabling and connection points within a building (or part of a building) that enables items of connected data equipment to communicate with each other. Connection points are usually RJ45 types, and the cabling is usually CAT 5e or CAT 6 UTP. See also AES50, AES67 and WLAN. The 'proper' name for a 'stage light' − an enclosure containing one or more light sources (and possibly other devices such as lenses, filters, shutters, gobos etc. ), arranged to emit light in a controlled way for applications such as stage lighting. A luminaire specifically designed for such applications. Many different kinds of lanterns exist − see, for example, PAR can, Fresnel, Profile spot and Moving head. With the advent of lighting and other equipment that is directly controllable using DMX, the term 'fixture' is now commonly used to refer to all such equipment; lanterns are therefore now often referred to as 'lighting fixtures'. The US term is 'lighting instrument'. See also Lamp and LED. A screen that consists of many fine strands of bare wire laid parallel with each other in a helical (or 'spiral') wrapping around the insulated inner conductor(s), rather than being woven into a braid. Some screened cables have a lapped screen consisting of two layers, one wrapped in a clockwise direction and the other anticlockwise. The time delay introduced in a signal by digital signal processing or communications equipment. In the case of signal processing, this delay is generally caused by the time taken to complete the complex arithmetic operations which must be performed on the signal in order to provide the required processing function(s). In the case of digital communications, latency may result from use of a relatively low communications bit-rate. Such delays are more likely to be of significance when some but not all signals are digitally processed (or communicated) by equipment with a high latency, because the difference in timing may then be more obvious (for example, in AV systems, poor lip sync). Latency is usually most important in real time processing, for example live programme applications. As an example from digital communications, consider a MIDI 'note-on' message sent from a keyboard to a sound generator over a single MIDI link. This message consists of three bytes, each of 11 bits (including the start and stop bits). At the standard MIDI data rate of 31.25 kbit/s, the message will therefore take just over 1 ms to be sent. So even ignoring processing delays within the keyboard and sound generator, the latency between pressing a key and the sound beginning will be at least 1 ms. See also Time alignment. A slang abbreviation for lavalier; a short-hand term for a lavalier microphone (see the next definition). Originally, described a small microphone that was worn by being suspended from a cord around the wearer's neck, to allow hands-free use − e.g. by presenters or actors. However, this method of attachment is now relatively uncommon, and the term is now used to refer to any chest-worn microphone − usually miniature types that are attached to clothing by means of a clip. As they are often clipped to a lapel or a tie, they are alternatively known as lapel microphones, clip microphones or tie-clip microphones. They are usually radio microphones, and are used in conjunction with a bodypack. In some situations these microphones can be prone to problematic variations in output level, due to the changing distance from the wearer's mouth as their head is moved. To minimise this effect they should ideally be worn centrally, just below the point at which the wearer's chin would touch their chest. If they must be attached to one side, then this should be the side that the wearer predominantly faces (e.g. in an interview situation). Level variations can be further reduced by the use of omni-directional types, but these are more prone to feedback and leakage problems, especially when a high gain needs to be employed. A preferable approach is often a headset microphone. The term 'lavalier' was taken from (by visual similarity) the name given to a type of single-stone pendant necklace. This name in turn originated from the French word 'lavallière' for a necktie with a large knot, popularised by the Duchesse de La Vallière. See also Necklace microphone. A rule that expresses the relationship between two or more quantities. For example, the law of a potentiometer (also referred to as its taper) defines how its resistance varies as its physical setting is changed, and Ohm's law defines the relationship between voltage, current and resistance. See the following two definitions. The distance taken up by each complete twist of the insulated signal conductor wires within a balanced cable. Sometimes just referred to as the 'lay'. See also Twisted pair and Star quad cable. The particular physical arrangement of the conductor wires or pairs within a cable. Sometimes just referred to as the 'lay'. See also the previous definition. Describes a sound, especially one from an electronic keyboard system, in which several different source sounds are produced simultaneously as the instrument is played. The layers may be mixed by a small on-stage mixer operated by the keyboard player, or may be supplied to the main mixer as separate signals which are mixed there. An intentional filter that is constructed using only inductors and capacitors, or an unintentional one that exists as a result of the inductance and capacitance incidentally present in a circuit. Compare RC filter. An abbreviation for 'liquid crystal display', a device in which liquid crystals are placed under the influence of an electric field in order to control their polarisation and hence their ability to pass light (when used with appropriate polar filters). By division of the display area into segments or pixels, each under separate electrical control, information such as numbers, characters or full images can be formed. When each pixel has its own adjacent controlling transistor(s) fabricated into the LCD, the display is described as 'TFT', an abbreviation of 'thin film transistor'. The liquid crystals themselves do not emit light; the display must either incorporate a source of light (e.g. a 'back-lit' display) or rely on the reflection of ambient light. See also IPS (2) and LED. An abbreviation for 'left, centre and right'; describes a routing arrangement that in addition to the facility for providing Left and Right mixes (for eventual delivery to the Left and Right speakers of a stereo PA system), also provides the facility for a Centre mix (for eventual delivery to centrally located speakers). Alternative abbreviation: LRC. Some mixers that provide such routing arrangements have pan controls that are configured to pan from a Left-only feed (when fully anti-clockwise), to a Centre-only feed (when at the 12 o'clock position) to a Right-only feed (when fully clockwise). The lack of any feed to the Left and Right mix buses when the control is at 12 o'clock is in contrast to the usual stereo routing arrangement, in which an equal feed is supplied to those buses when the control is in that position. Some mixers providing LCR routing have the facility to select whether the pan controls operate in LCR mode or in stereo mode. See also Cluster. A combination of the component designations for inductors (L), capacitors (C) and resistors (R). Usually used to describe a filter which makes use of all three of these component types. An abbreviation for 'lighting designer'. Or, in television production, an abbreviation for 'lighting director'. See also Lampie and LX. A common alternative name for a cable, usually one that is either fitted with connectors at both ends or (less commonly) that is permanently attached to an item of equipment. Typically preceded by a word to describe the type of cable referred to, or to describe its intended purpose, e.g. 'guitar lead', 'mic lead', 'instrument lead', 'speaker lead', 'mains lead', etc. Describes an instrument or vocal part whose sound is intended to be dominant in the overall sound of the band, as perceived by the audience, or to be dominant in at least some parts of some songs. For example, lead vocals (LV) sings the main melody line; lead guitar plays (mostly) single notes (rather than chords) and often has a solo part in at least one song. See also Instrumental break and Rhythm guitar. Compare Backing. A document that specifies the foundational elements of a song, such as the lyrics, the melody line, chords for basic accompaniment, and the song's structure (i.e. sequence of verses, choruses, instrumentals etc.). The information provided on a lead sheet can be of use to sound engineers, e.g. to indicate when a guitar solo will be played. In general, something occurring where ideally it would not. Most often refers to pick-up by a microphone of sounds other than those intended to be picked-up by that microphone, particularly pick-up of musical instruments situated close to the target instrument. Usually undesirable in PA work (but see Creative leakage). In the sense that leakage constitutes a part of the unwanted signal present, it may be considered to be part of the noise. Alternatively known as 'spill' or 'bleed'. See also Separation, Noise gate and Earth leakage. A stand which supports books, documents, a laptop computer, etc., used by a person delivering a presentation. It may also support a microphone, often a gooseneck type. A lectern is often located on a dais. An abbreviation for 'light-emitting diode', a semiconductor device that emits light when a current is passed through it. High brightness LEDs are now increasingly used as light sources in lanterns, where they can provide multiple colours and much greater efficiency and longer life than incandescent lamps. Although the brightness of an LED varies with the current passed through it, such a method is generally unsuitable for accurate dimming applications (especially below around 20% power) because of variabilities between the LEDs in a group and because of undesirable changes in the colour of the emitted light. The dimming of LEDs is therefore usually accomplished using pulse width modulation or pulse density modulation techniques, which in some cases can result in problematic levels of radio-frequency interference (RFI). See also LCD. Compare Incandescent lamp and Discharge lamp. Usually refers to a display screen in which the image is formed by pixels that are each made up of a red, a green and a blue LED. The light level of the individual LEDs is controlled in order to give the brightness and colour required for each pixel. Very large such screens, suitable for use in large auditoria, may be created by inter-linking smaller modules. In such screens, the pitch of the pixels is an important factor in determining the clarity of the images produced − especially for the viewers located closest to the screen. As a rough guide, the minimum viewing distance in metres can usually be considered to be slightly less than the pitch in millimetres, e.g. 6 m for a 7 mm pitch screen. It should be noted that the video signal processing associated with these screens can sometimes introduce a substantial delay in the displayed image − see Latency. The brightness of display screens is usually specified in nits. In a stereo system, the channel that is destined for the speakers located at the left as viewed by the audience (i.e. those located at stage right). One of the signal-carrying conductors of a balanced pair. The two legs of the pair are commonly referred to as the 'hot' and 'cold' legs, or as the '+' and '−' legs. Note that in a star quad cable two wires are used to make up each leg of the pair (making four wires in total). See also One-legged. Describes equipment of an earlier design or style than what is now being manufactured. This may mean that the equipment is many years old, but in the case of equipment using rapidly-changing technology (such as some computer-based equipment) the term might be used of equipment even less than a year old. The term is most frequently used in a comparative sense, to refer to the earlier equipment that remains installed, or in use, after some refurbishment or extension of the system (often by new owners or new operators of a venue). Such a description does not necessarily imply that the equipment referred to is no longer fit for purpose, however in some cases there may be challenges to overcome in arranging interconnections or interoperability with newer equipment. Describes a speaker that incorporates an internal motor-driven rotating device which interferes with the passage of the sound emerging from the driver. A means is usually provided to switch the motor on and off, and to control its speed of rotation (e.g. start/stop and fast/slow foot switches). Effective miking of these speakers can be difficult, and is sometimes achieved by use of two microphones, e.g. at the top and side apertures of the cabinet. Such speakers were originally used with early electric organs to produce a rapid 'vibrato-like' sound effect typical of classic 'theatre organs'. The effect is now produced internally in keyboards by digital means. Named after its inventor. The amount of something; a measurement or indication of its magnitude. In particular, the magnitude of an audible sound (usually expressed in dB SPL or in µPa) or of a signal (usually expressed in volts, dBV, dBu or dBm). By convention, such levels are nearly always expressed as RMS values. An alternative term for level is 'amplitude'. Audio signal levels are important in a relative sense because they impact upon the perceived loudness of the sound finally produced and upon the relative contribution of each sound source in a mix. They are also important in an absolute sense: a) at the interconnections between items of equipment in order to ensure compatibility and b) within equipment to ensure that signals are neither so small that contributed noise becomes significant (see Signal-to-noise ratio) nor so large that significant distortion occurs as a result of overload. Digital audio signal levels are usually expressed as a value relative to the maximum level that can be handled by the digital signal format concerned, i.e. as a negative dB FS value. Current levels are measured in amps (or mA, etc). Power levels are measured in watts (or mW, etc) − but see also VA.
Sound pressure levels are measured in dB SPL (or sometimes in µPa). Lighting levels are usually measured in lux. See also Metering, PPM, VU, Dynamic range, Amplifier, Attenuator, Gain, Clipping, Volume, Input and Output. A device that indicates the level of an audio signal − see Metering. Or, an abbreviation for sound level meter. A device that is intended to remove or reduce variations in average signal level, for example so as to remove or reduce variations in average programme loudness when switching between different audio signal sources. A simple version of such a device would basically be a compressor with an appropriately low threshold setting and appropriate settings of compression ratio and attack and release times. Further, specific side chain filtering may be employed in order to provide a suitable assessment of loudness. However, more sophisticated loudness levellers operate by measuring programme loudness according to the standardised LUFS method, and adjusting levels in order to achieve a target LUFS value. 'Leveler' is the US spelling. See also Automatic gain control. An abbreviation for 'low frequency'. See Bass (1). An abbreviation for 'low-frequency driver' − an alternative name for a bass driver or woofer. Compare HF driver. An abbreviation for 'low-frequency effects', typically referring to the low-frequency effects added to film sound-tracks. See Bass (1). A surround sound recording channel used solely for sub-bass signals, typically for the low-frequency effects (LFE) added to film sound-tracks. Use of a separate channel for this purpose avoids a need to record the higher frequency content of the programme at a lower average level in order to accommodate high-level sub-bass signal peaks within the available dynamic range of the main recording channels. An improved signal-to-noise ratio can therefore be obtained at those higher frequencies, where noise is more prevalent and more noticeable. For proper reproduction of the LFE channel a sub-woofer is required. See also 5.1 and 7.2. An abbreviation for 'low fire hazard', typically relating to the hazards that may be created by some types of cables when subjected to fire conditions. See also CPR (2) and LSF etc. An abbreviation for 'low frequency oscillator'. It is most commonly encountered in relation to modulated time-domain effects such as chorus, flanging, phasing, tremolo and vibrato, where it refers to the oscillator that runs at a very low frequency (typically between 0.1 Hz and 20 Hz) in order to produce the repetitive variations in sound that are characteristic of these effects. In the context of equalisers, an alternative term for boost. An abbreviation of earth lift. Visible electromagnetic radiation, emitted by a source such as lantern. Not the lantern itself (though non-technical personnel frequently use the term in that way, as in 'a stage light'). See also Lumen and Lux. A solid or hollow metal bar of rectangular cross-section, drilled at intervals to enable lanterns or other lighting fixtures to be bolted directly to it. Or, a metal tube of circular cross-section to which clamps may be attached at any point, for the mounting of lanterns or other lighting fixtures. May be referred to as just a 'bar'. See also T-bar, Truss and SWL. A control desk for stage lighting. See also DMX. An American term for a lantern. A diagram (or set of diagrams), produced during the planning of an event, to indicate the stage area that is to be illuminated by each lantern during each scene, and to specify the lighting colours, textures, special effects, etc. that are to be used. Often abbreviated by lighting engineers to just 'plot'. See also Cue and Sound plot. 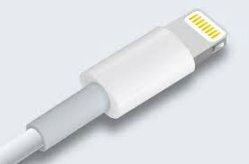 A reversible very thin flat micro-format connector developed by Apple&REG; for digital signal and charging interconnections to thin mobile devices. The connector has 16 contacts in total, but only the 8 poles on one side are used at any one time, depending on which way up the connector is inserted. Digital audio and video information may be conveyed. Adaptors to USB, and to other interfaces, are available. Compare DisplayPort. A signal processing unit that prevents the peak level of a signal from significantly exceeding a pre-determined value (the limiting 'threshold'), either as an effect or to restrict its dynamic range in order to avoid the overload of amplifiers, speakers, recording equipment or broadcast equipment. If the limiting threshold is crossed by the input signal, the limiting action that takes place will reduce the difference between the signal's average level and its peak level, so the required headroom is reduced. Effectively, a limiter is a compressor operating with a very high compression ratio above the threshold. This is usually referred to as an 'infinite' compression ratio (i.e. 'infinity to 1'), but in practice a ratio of 10:1 or more provides a limiting effect. See also Dynamics processor, Speaker management equipment and PPM. The effect on dynamic range that is intentionally produced by a limiter, or that is caused by some other means (intentional or otherwise) that has a similar effect. An abbreviation for 'linear potentiometer' − see Potentiometer. A physical signal-interconnection between two points (usually a significant distance apart), made by means of a cable. In the case of a multicore cable, the same cable incorporates several lines. Note that a line may carry any type or level of signal for which the cable is suitable (not just line-level analogue signals). The signal path over a line may be referred to as a circuit or a channel. To assist in the reduction of interference picked-up on the line, lines are often screened and/or balanced. See also Line check, Link (1), Feed, Pair, Leg, 100 volt line, Returns, Line driver, Termination (1) and Termination (2). The mains power for an item of equipment, or a cable carrying such power. See also Line conductor and Line filter. The particular set of musical instruments used by a band during a performance, or the particular set of performers involved. The process of adjusting the relative signal levels throughout a system, so as to achieve the required gain structure. See also Tone (2), SOL and Programme level. A speaker system consisting of a vertical column of drivers, either all contained within a single enclosure or (more usually) each driver having its own enclosure. The resulting sound field has very limited dispersion in the vertical plane, but provides a broad horizontal coverage. It can be pictured as a segment of a horizontal slice of a vertical cylinder (i.e. like a wedge-shaped piece of a circular cake). The result is that, for a particular range of frequencies and up to a particular distance (the 'critical distance'), the on-axis sound level decreases by 3 dB for each doubling in distance, rather than by the 6 dB that is applicable to a point source (see Inverse square law). The critical distance is dependent upon the length (i.e. height) of the array and upon frequency, but opinions differ as to how best to define this distance and calculate its value. Mark Ureda (of JBL) proposed in a 2001 AES convention paper (preprint 5304 − click to open in a new window) that a suitable approximate calculation would be (array length2 x frequency) / 700, where the array length and the resulting distance are in metres, and the frequency is in Hz. However, in a 2002 paper (AES ref 5649 − click to open in a new window) he proposed a revised approach giving a significantly increased critical distance, calculated (as an approximation) using 0.006 x array length2 x frequency. These calculations show that quite long (i.e. tall) arrays are needed to obtain any useful effect at low frequencies. The high-frequency limit of the effect is determined by how close together the individual drivers of the array can be placed. See also Column speaker. Compare Cluster. A specific part of the sound-check procedure, during which the allocation and correct operation of the lines from the stage is checked. At the conclusion of the line check, it will be proven that each microphone and instrument source is connected to the correct input of the mixer (or to the correct inputs of the front-of-house and monitor mixer, where these are separate) and that there are no problems with the connections. A set of rules that are used by equipment to encode a digital data stream prior to making it available at an output of the equipment. (For the meaning of 'line' in this context, see Line (1).) Using a line code does not add any additional information to the data being output; rather its purpose is to facilitate transmission through the interconnection and to facilitate recovery of the original data stream by the destination equipment. Line codes are often particularly important for clock recovery and frame synchronisation. An example of a line code used for digital audio interconnections is the bi-phase mark code. In mains supplies, a conductor that is intended to be at supply voltage (nominally 230 V in the UK and much of Europe) with respect to safety earth. A single-phase supply has just one line conductor, whereas a 3-phase supply has three electrically-independent line conductors. Alternatively known as a phase conductor or, less formally, as a live conductor or a hot conductor. Compare Neutral. A connector that is intended for attaching to the end of a cable, rather than mounting on an equipment panel. Compare Panel connector. A device whose function is to provide signal output characteristics suitable for connection to a line. In terms of audio lines, this usually means providing a balanced signal at line level, with sufficient drive current capability to cater for the relatively high capacitance values of lengthy cables. In PA work, line drivers are typically integrated circuit components internal to equipment that has electronically balanced (rather than transformer balanced) outputs. There are several different types of such outputs, which behave differently to each other in some circumstances (see Balanced). For example, quasi-floating line drivers may introduce relatively high levels of noise if used to drive an unbalanced input or an unbalanced cable without linking the cold leg of the output to signal earth. A filter that is intended to be used in a mains power feed, with the intention of reducing mains-borne radio-frequency interference (RFI). Such filters must be rated adequately for the current demands of the equipment supplied through them. See also Power conditioner, Distro and VA.
An abbreviated form of 'line-level input'; an input that is intended to accept only a line-level signal. The connector is usually a quarter-inch (6.35 mm) jack or a female 3-pole XLR. Line inputs may be intended to accept unbalanced signals only, or may be designed for balanced signals (at line-level). Line inputs that are intended for balanced signals can usually also accept unbalanced ones, provided that they are not supplying phantom power (rare for line inputs) and that the connecting plug is appropriately wired − check the equipment manufacturer's instructions. Compare Microphone input. Usually refers to a signal whose nominal level is in the region of 0.3 V to 2 V (−8 to +8 dBu), or refers to an input or output connection intended to carry such a signal. Typically, line-level signals are used for interconnections between mixers, power amplifiers and outboard equipment such as graphic equalisers, effects units and active crossovers. Nominal levels for these signals are standardised at either −10 dBV or +4 dBu. −10 dBV (equivalent to approximately −8 dBu or 0.316 V) is used by most semi-professional equipment, home studios, etc. These connections are typically of the unbalanced type. +4 dBu (equivalent to approximately +2 dBV or 1.23 V) is used by most professional equipment. These connections are typically of the balanced type, in which case +4 dBu refers to the level between the hot and cold conductors (not from each of these conductors to signal earth). The name derives from the level of signals typically used on analogue lines between distant stations (such as broadcast studios and transmitter sites). See also 100 volt line. Compare Microphone-level and Instrument-level. An alternative name for a rifle microphone. An abbreviated form of 'line-level output'; an output that provides a line-level signal. In an analogue video signal, the synchronisation pulses that indicate the start of each horizontal line of the picture. In a 625-line picture, the pulses occur at a frequency of 15.625 kHz, an interval of 64 µs. The short black-level interval preceding the line sync pulse is called the 'front porch'. The slightly longer black-level interval following the line sync pulse is called the 'back porch' and in a composite video signal carries the chrominance reference burst; it is also used for black-level clamping. Both line and field sync pulses occupy the negative-most 0.3 volts of a standard 1 volt peak-to-peak video waveform. Describes a system, or a component of a system, that has a truly proportional response. That is to say, the output of the system is always in direct proportion to its input (under normal operating conditions and within a practical and appropriate accuracy of measurement). So, a doubling of input produces a doubling of output, etc. Where the input is a signal, such a component or system has the important property that no new frequencies related to the original ones are introduced into the signal by it. The term literally means 'relating to a (straight) line', which refers to the fact that if a graph is plotted of output values versus input values, under normal operating conditions, an essentially straight-line graph is obtained over the range of interest. For examples of the use of this term, see the following definitions. A system or component that does not behave linearly in some respect may be described as 'non-linear' in that respect, and this behaviour may result in intermodulation. See also Interpolation. PCM that utilises linear quantisation, which means that equal changes in analogue sample values result in equal changes in the numeric value assigned to each sample. This scheme is used in standard CD recordings and in S/PDIF and AES3 digital audio interconnections. It is often abbreviated to LPCM. For further information see Pulse code modulation and Analogue to digital conversion. If the phase response of a system whose group delay is constant over a particular frequency range is plotted against frequency, the result will be a straight line over that frequency range; this is described as a 'linear phase response'. So this term is just another way of saying 'constant group delay', which is a good thing in high-quality audio systems. A system having a linear phase response over a particular frequency range is sometimes described as being 'phase linear' over that range. A system having a linear phase response is not necessarily a minimum phase system. A potentiometer (pot) whose track has a constant resistance profile along its entire length, known as a 'linear taper'. In an appropriate circuit it therefore provides an output voltage that (for a fixed input voltage) is directly proportional to the angle that the control is turned (rotary pots) or the distance it is moved (slider pots). For further information see Potentiometer. A power supply whose transformer operates at mains frequency − i.e. a power supply that is not of the switched-mode type. A linear power supply is sometimes referred to as a 'conventional' one. For further information see Power supply. The degree to which a system or component behaves in a linear manner. See also Intermodulation. An interconnection path between equipment or between locations, a term often used when there is a considerable distance involved. Although sometimes used as short for 'radio link' (i.e. a wireless interconnection), it may also be used to refer to a physical interconnection − see Line. Describes a crossover which uses 4th-order Butterworth filters. So-called because the engineers S. Linkwitz and R. Riley determined that this arrangement gives an improved result over 3rd-order designs − not only by virtue of a steeper slope, but also in that the low-pass and high-pass outputs are well co-ordinated in amplitude and phase through the region of the crossover frequency. This is important because in this region the HF and LF drivers are sharing the production of the sound, and so deficiencies in the co-ordination of their drive signals around the crossover frequency can lead to undesirable variations in the overall output level and directivity of a full range speaker at those frequencies. Abbreviation LR, or LR-4. A microphone which is intended to be held extremely close to the mouth. It usually has a shield protruding from its top surface; this is intended to touch the user's face between the upper lip and the nose − hence the name. It is generally used only for sports commentary applications, and is usually of the noise-cancelling type. In audio-visual applications (such as TV or film), the degree to which the sound and vision tracks are in synchronism, characterised by the degree to which the sound of a person's voice corresponds with the movement of their lips. Lip sync may be adversely affected by the latency of signal processing equipment such as digital vision mixers, or by a large distance between the speakers and the audience (see Speed of sound). To move one's lips in synchronism with a previously made recording of the required vocal sounds, e.g. to mime to a pre-recorded vocal sound-track. Often a microphone will be used for purely visual effect − it will generally be muted so as to avoid any accidentally-made vocalisations appearing in the mix, unless the performer wishes to add further vocals or speech at one or more points. The monitor speaker that is provided for use by the monitor engineer. It enables him/her to listen to a particular performer's monitor mix − this is especially useful when making adjustments to the mix. Typically the listen wedge is fed from the 'control room' output of the mixer, and the mix to be monitored is selected by activating the AFL of the appropriate aux send. The monitor should be of the same type as those used by the performers, and any outboard processing (most commonly graphic equalisers) that is used for the monitor mixes should be patched into the aux send inserts of the mixer, so that their effect is apparent in the listen wedge. See also Wedge. A trademarked name for a particular brand of miniature illumination devices for equipment and for musicians' music stands. The gooseneck variety is frequently used for illumination of mixer control surfaces, where it is often powered and supported via a BNC connector. The most popular incandescent lamp rating is 12 volts 5 watts. LED versions are also available. Describes an item of equipment that is currently in use, or that is connected to a source of electrical power − especially mains power. (More formally, live mains supply distribution equipment or cabling is described as 'energised'.) Or, describes a conductor that is at (or is intended to be at) a significant voltage with respect to the general mass of earth; that is, a non-earthy conductor, sometimes referred to as a 'hot' conductor, or marked '+'. Warning: In energised mains supplies, all the current-carrying conductors (including the Neutral) should be treated as being 'live', i.e. at a dangerously high voltage with respect to earth, and must never be exposed to the touch. See also Line conductor. Describes a microphone that is currently 'open' − i.e. the sound that it picks up is currently being used in some way (amplified, recorded, broadcast, etc.). See also NOM. Describes an entertainment event in which the audience can physically see the performers, as compared to an audience experiencing recorded, filmed or relayed material. Or, describes broadcast programme material originating from a performance, or other event, that is happening at essentially the time of the broadcast; not one previously recorded. Live programme material must be handled in real time, and the latency involved in any signal processing may therefore be important. See also Show, Gig and Live (4). Describes a session by one or more artists performing in front of an audience, as opposed to a session in a recording studio. Or, describes a recording made of a performance in front of an audience, as opposed to a studio recording. Usually, a live recording will be an un-edited version of what was actually performed at the event, although the multiple recorded tracks will usually be substantially processed and mixed down in a recording studio, some time after the event (see Post-production). A live recording may sound substantially different, in a technical sense, from what was heard by the audience present, despite having been derived from the same performed material. See also Live (3). Describes acoustics having a long reverberation time. Compare Dead (1). An abbreviation for 'loudness, K-weighted, relative to full-scale', the term defined by the ITU (ITU-R BS.1770-4) for a standard measurement of integrated programme loudness employed primarily in the broadcast industry. It is now simply an alternative name for the identical standard LUFS measurement defined by the EBU [though prior to 2011 it was different as it was then an ungated measurement]. For more detailed information see LUFS. An abbreviation for 'lower mid-range'. [Noun:] The item of equipment, or an input of it, that is the destination of a signal or of a source of electrical power. The impedance of the load is often significant (see the next definition), particularly in regard to speakers. Or, the amount of current drawn by, or amount of power required by, one or more items of equipment. Where the equipment has (or potentially has) a poor power factor, the load may be expressed in terms of VA rather than watts. Or, [Verb:] The effect that connection of one or more loads has on the output of the source equipment − particularly as regards the resulting reduction in output voltage level. Specifically, to cause a current to be drawn from a source of voltage (e.g. an output of an item of equipment), or to cause power to be drawn from a source of electrical energy (such as a mains supply point). See also Overload (1), Overload (2), Voltage-matched and Impedance-matched. The tensile or compressive force exerted on an item of mechanical equipment such as a chain, rope, truss, hoist, staging, etc., typically specified as a weight value in kg, pounds or tons. Such loading forces must under all circumstances be less than the Safe Working Load (SWL) of the equipment sustaining them − this may require the SWL to be considerably higher than the actual weight of the item(s) to be supported. Or, a term for the equipment (or other influence, such as the wind) exerting such a force. Usually, the combined input impedance value of all the loads that are connected to a particular output channel of an item of equipment, whether via a single output connector of the equipment, via multiple internally paralleled connectors, daisy-chained load equipment or other signal splitting arrangements. Or, the term may refer to the input impedance value of a particular load. Where two or more identical loads are connected to an output channel in any arrangement that effectively connects them in parallel, their combined load impedance is the impedance of one of them divided by the number of them. In order to avoid a reduction in the performance of equipment, and/or possible damage to it, it is necessary to ensure that the combined load impedance connected is not less than the minimum specified for the output channel concerned. This is of particular importance in the interconnection of speakers and power amplifiers − see the Impedance section on the Amplifiers & Speakers page. See also Headphones, Input impedance, Output impedance, Parallel, Series, Voltage-matched and Impedance-matched. The process of moving a performer's equipment, or a rig, from the transport vehicle(s) into position in the venue before an event. Also referred to as the 'get-in'. Compare Load-out. The process of moving a performer's equipment, or a rig, from its location in the venue into the transport vehicle(s), after an event. Also referred to as the 'get-out'. See also De-rig. Compare Load-in. Describes a signal output or an electrical supply source that has a load connected to it. See also Output impedance, Termination (2), Overload (1) and Overload (2). Compare Open-circuit (1) and Unloaded (1). Describes a speaker enclosure or cab that has drivers fitted. Compare Unloaded (2). An abbreviation for 'horn-loaded', describes a speaker driver that is fitted with a horn. Compare Direct radiator. Unloaded (3). Describes a microphone whose polar response contains multiple lobes. An alternative term for a rifle microphone, because this type has such a polar response. An imaginary 3-dimensional region in space, emanating from a speaker or a microphone, the boundary of which area defines a given degree of sensitivity of that particular device at a particular frequency. For example, the rear lobe of a microphone is the region of pick-up on the microphone's rear axis, which occurs in the case of super-cardioid and hyper-cardioid polar responses. An abbreviation for 'logarithm'. The mathematical power to which some number (called the 'base') must be raised in order to give a particular value. Logarithms to the base 10 are generally assumed, so the log of a number is the power to which 10 must be raised to give that number. For example the log of 1000 is 3, because 103 = 1000. Similarly, the log of 0.01 is −2, and the log of 1 is 0. Or, an abbreviation for 'logarithmic', which describes a component, scale, or response in which the 'output' varies in accordance with the logarithm of the 'input' (or approximately so, or within defined limits). An example of this usage is 'log pot' (see Potentiometer). The main relevance to sound engineering is in relation to decibels, which is a logarithmic scale − see the Decibels page. See also Taper. Describes a speaker that has narrow dispersion angles, enabling it to provide sound effectively to an audience at some distance from it (say, greater than 12 metres). See also Directivity. Compare Short throw. A physical wave in which the displacement of the medium occurs in the same direction as the travel of the wave. Or, more formally, occurs along the same axis as a line drawn between successive crests. For example, a sound wave in air is a longitudinal wave consisting of alternate regions of compression and rarefaction. See also Propagation of sound and Speed of sound. Short for wiring loom or cable loom. A group of wires or cables secured together, either permanently or temporarily. For example, the fixed cabling that inconnects items of equipment permanently installed in an equipment rack or behind interconnected patch bays. Or, a set of cables, temporarily secured together using cable ties or PVC tape, that run as a group between two points. Or, the grouped-together wiring internal to an item of equipment, which interconnects its circuit boards, panel connectors, controls, etc. Alternatively known as a harness (wiring harness, cable harness). See also the next definition. Ribbon cable. A compartment of an equipment flight case, intended to contain the cables connecting to the equipment so that they may remain connected while the equipment is in transit. It is usually located at the rear of mixer flight cases, and usually has a hinged or removable lid. The slang term 'dog box' is sometimes used. A recording that, when played, is arranged to restart each time that it reaches the end of the recorded material. The amount of attenuation given to a signal between two specific points in a system or between two points within an item of equipment. Or, the amount of reduction in response (or sensitivity) of an item of equipment at a particular frequency, as compared to its response at another frequency (often a standard reference frequency such as 1 kHz) − see Frequency response. Loss is usually measured in decibels; if it is understood that the value is a loss then strictly it should be quoted as a positive value, though very often a negative value is given. Compare Gain. Describes equipment or an interconnection having no attenuation. Describes equipment or an interconnection having a significant attenuation. A subjective term, describing sound judged to be of high loudness relative to an implied, specific or arbitary reference. See also Sound pressure level. Compare Quiet (2), but take note of Quiet (1). The apparent magnitude or 'volume' of an audible sound, as perceived by an average human listener (therefore also called 'perceived level', or 'perceived volume'). On average, loudness is subjectively judged to double for each 10 decibels increase in sound pressure level. Usually measured in phons (occasionally in sones). Contrast with sound pressure level (SPL), which (in unweighted form) is the actual magnitude of the sound waves, regardless of how an average listener might perceive their level. (Note, however, that SPLs may also be quoted as weighted values, which do provide an approximation to the perceived sound level.) See also VU, Weighting, LUFS and LRA. A control, usually found on a domestic Hi-Fi amplifier, which may be operated to activate equalisation that partially compensates for the apparent reduction in sound quality which occurs when listening at low sound pressure levels. It works by boosting the bass frequencies to compensate for the ear's reduced sensitivity to those frequencies at low levels, and also boosting the treble frequencies for the same reason and to compensate for the masking effect of low-level ambient noise. See also Fletcher-Munson curves. The process of reducing the bass content of an audio signal. Or, the name of a switch or control(s) that provides this function (e.g. on a mixer, where it may be considered to be a part of the channel EQ section). Some types of microphone are equipped with switches providing a low cut (or bass roll-off) function, sometimes giving control over the cut-off frequency and/or slope; this facility is generally provided only on condenser types. May be abbreviated to 'LC', or may alternatively be referred to as 'high pass' (HP). On a mixer, a variety of forms are found, depending on the mixer sophistication − for details see Equalisation on the Mixing Facilities page. For cross-references to more filtering-related terms see Filter (1). Compare High cut. The bass end of the audio-frequency spectrum, also called the 'bottom end'. Compare High end. Usually describes equipment or interconnections in which the source impedance is, or is intended to be, no greater than around 600 ohms. Sometimes written 'Low-Z' or 'Lo-Z', because Z is the symbol for impedance. Note that inputs intended for the connection of low-impedance microphones usually have an input impedance significantly greater than 600 ohms (typically 2 kilohms), but are nevertheless referred to as 'low-impedance inputs'. For further information on the impedance of microphones, see the Microphones page. A speaker that is not a 100 V line type is sometimes referred to as a 'low-impedance speaker'. See also Matching. Compare High impedance. Describes a filter that attenuates ('cuts') frequencies higher than a particular value, but allows frequencies lower than that value to pass through relatively unaffected. The boundary between the range of frequencies allowed to pass and those cut is called the cut-off frequency, however in practice the transition between 'cutting' and 'passing' is not abrupt, but takes place over a range of frequencies. The cut-off frequency of a low pass filter is usually considered to be the frequency at which the attenuation is 3 dB greater than the average attenuation at frequencies that are low enough to be clear of the transition region. A low pass filter is sometimes referred to as a 'high cut' filter. For cross-references to more filtering-related terms see Filter. Compare High pass. Describes an audio frequency at the lower end of the mid-range frequencies, typically between 250 and 800 Hz. Often abbreviated to 'LMID' or 'LM'. Compare Higher mid-range. Another name for bass frequencies. Compare Highs. An abbreviation for 'linear PCM'. An abbreviation for 'log-periodic dipole antenna'. A type of antenna that is sometimes used with receivers for radio microphones or with transmitters for in-ear monitoring (IEM) systems. Its directional behaviour provides some gain in the forward direction and (when receiving) provides some rejection of interference in the opposite direction. Transmit antenna gain can be particularly useful for improved signal integrity in IEM systems, because IEM receivers are usually non-diversity types. This type of antenna is sometimes constructed in the shape of a paddle-shaped or fin-shaped plate, and these types are therefore sometimes referred to as 'paddles' or 'shark fins'. Note, however, that some paddle-shaped antennae are omni-directional types, not LPDA ones. See also Antenna distribution unit. Compare Helical antenna. An abbreviation for 'low pass filter'. An abbreviation for 'loudness range', the dynamic range of a standardised LUFS (or LKFS) measurement of programme loudness, quoted in LUs. In order to avoid extreme events such as single gunshots or periods of silence affecting the overall result, the top 5% and the lowest 10% of the total loudness range is excluded from the LRA measurement. For further information see LUFS. An abbreviation for 'low smoke and fume'. Describes a cable that emits little smoke or hazardous fumes when exposed to extreme heat or to fire. Such cables are sometimes specified for permanent PA installations in certain types of building. Some types of cable may be referred to as LSOH, LSZH or OHLS (low smoke, zero halogen) or LSHF (low smoke, halogen-free), or as 'plenum cable'. However, as considerable differences exist between the smoke and fume emissions from different types, always be sure to install an appropriate type of cable for the situation concerned. See also CPR (2) and LFH. An abbreviation for 'long term evolution', a standard for public mobile communications (including data) that uses fixed radio base-stations connected to a telecommunications network. It has versions known as '3G', '4G' etc. Care must be taken to avoid possible interference between LTE equipment and equipment used in PA systems, particularly wireless equipment such as radio microphones and in-ear monitoring (IEM) systems. In stage lighting, an abbreviation for 'latest takes precedence'. This refers to the method used to determine the DMX control values sent by lighting desks to fixtures such as moving-head lanterns, as the more usual 'highest takes precedence' (HTP) method would not be applicable to control parameters such as pan, tilt and colour-wheel. In the LTP method, the most recent value determined by the desk is always output, regardless of whether it is higher or lower than any other values that might be concurrently relevant for the same DMX channel. Compare HTP. An abbreviation for 'loudness units'. One LU is a difference of 1 dB in a LUFS (or LKFS) measurement of programme loudness, or in a LRA measurement of loudness range. An abbreviation for 'loudness units, relative to full-scale', the term defined by the EBU for a standard measurement of integrated programme loudness employed primarily in the broadcast industry. In this method, the 'average loudness' of a broadcast piece is determined by averaging the K-weighted true-peak level of the program over the duration of the piece, excluding any periods during which the true-peak level is more than 10 LU below a version of the measurement that made no exclusions. The purpose of this exclusion, or 'gating', technique is to prevent extended periods of very low level or silence from skewing the measured loudness away from what would actually be perceived for the piece as a whole, which is governed mostly by the loudest passages. An alternative name for the same measurement is LKFS, defined by the ITU (ITU-R BS.1770-4) [though prior to 2011 LKFS was defined differently as it was then an ungated measurement]. A loudness leveller will adjust the level of a programme signal to provide adherence to a standard 'target loudness' figure. Such target values are set according to the destination of the material, e.g. for UK television typically −12 to −16 LUFS is used. See also dB FS on the Decibels page, LRA and Weighting. The unit of measurement of total perceived light output from a source, or present within a defined beam. More strictly, it is called the 'luminous flux', and is abbreviated to 'lm'. Scientifically speaking, a value in lumens is determined by weighting the overall spectrum of the electromagnetic radiation emitted by the source in accordance with the spectral response of an average human eye. This unit is commonly used to specify the light output of video projectors. As there are several possible ways to make the measurement, the method laid down by ANSI is often used, and values measured this way are usually quoted in 'ANSI lumens'. The amount of illumination (strictly, 'illuminance') provided onto a surface from a given number of incident lumens, uniformly distributed, will depend upon the area of the surface and is measured in lux. How bright the surface appears to be as a result, when viewed from a particular direction, depends on the light returned from the screen in that direction per solid angle, and is measured in nits. This value will depend on the screen's optical properties, particularly the amount of reflection and the extent of scattering that it provides. The contrast ratio achievable from a particular type of (front-projection) screen will depend not only on the screen gain but also on the amount of light returned from the screen's surface (in a given viewing direction) originating from other sources of incident light, as compared with the amount it returns in that direction as a result of the projected light. Any complete apparatus that is designed to emit light for the purpose of illumination. A specific class of luminaire is the stage lantern, of which there are in turn many types. Compare Lamp. The part of a composite video signal that carries the monochrome (i.e. black and white) information, that is, the brightness information. Abbreviation 'Y', thought to be because of its appearance being indicative of converging beams of the three additive primary colours (red, green and blue), whose total illuminating strength equals the value of luminance. See also S-video, Grey scale and IRE. Compare Chrominance. The apparent brightness of an illuminated or light-emitting surface, when viewed from a given direction. In other words, the amount of light returned or emitted from one square metre of the surface in that direction, per solid angle. In the case of an illuminated surface, its luminance depends on the amount of light falling on the surface per unit area (measured in lux) and upon the optical characteristics of the surface. For more information see Nits, the (unofficial) unit of luminance. The unit of measurement of illumination (strictly, 'illuminance') provided onto a surface, or returned from a surface. The illuminance, in lux, provided by a given total amount of incident light on a particular surface (measured in lumens), uniformly distributed, is given by the number of lumens divided by the illuminated area of the surface (in square metres). For example, 2000 lumens uniformly illuminating an area of 4 m2 will provide an illuminance of 500 lux. Abbreviated to 'lx'. An abbreviation for lead vocal(s). Compare BGV and BV. An abbreviation for lux. For the upper case form, see the next definition. Originally an abbreviation for 'electrics' ('LectriX). However it now refers to all aspects of stage and auditorium lighting, due to the extensive electrical supply cabling and equipment that are involved with lighting. May be pronounced 'lex'. See also Power distribution, Lampie and Sparks. For the lower case form, 'lx', see the previous definition. Electrical insulating tape, usually made from PVC. The name 'LX tape' derives from its use by lighting engineers and electricians (see the previous definition). For further details see PVC tape. An abbreviation for 'lighting cue'. See also LX and Q (5).